When The Book of Blessings – my re-creation of Hebrew and English prayers written from a feminist perspective – was published some 18 years ago, I was often challenged to explain what made it Jewish, even though it was steeped in classical Jewish sources. Because my prayers did not directly address a male God, and because they contained a variety of images to point toward divinity, I was accused of heresy – of being an atheist, a pantheist, a panentheist, and (worst sin of all!) a polytheist – attacks that seemed to me to cancel each other out. Even today, when The Book of Blessings has been accepted and used by a considerable swath of the Jewish community, I am sometimes asked to defend its theology. Why does the authenticity of feminist Judaism continue to be challenged? I ask the same question about atheist (or humanist) Judaism. If for no other reason than to validate an atheist stance – to widen the definition of Jewishness and make the atheist position glatt kosher – I am willing to wear the label “atheist” on my lapel. But in truth I think it more accurate to call myself a “post-theist.” That is, I’m tired of the theism debates, which strike me as mainly a way to keep the gates locked against intruders, even friendly intruders. I’ve come to find these debates boring, even stultifying and disingenuous. I suspect there are many more Jews who don’t believe in a deity than are willing to say so aloud. And there are many topics more relevant to our lives as Jews today. I’d rather inquire into – and converse about – the way we conduct our lives, what gives us purpose and fulfillment, what values we hold sacred (“sacred” being a word containing meanings that go beyond the theism question). It goes without saying that one can be a good human being without believing in God. The question posed by some guardians of tradition is whether one can be Jewish without believing in God – to which I say, of course. Judaism is much more than a system of religious beliefs, and beliefs change in any case with the times. Mordecai Kaplan, the twentieth-century Conservative rabbi who founded the Reconstructionist movement, called Judaism a progressively evolving civilization. For the record, I have no interest in convincing anyone to believe or not believe in God (or gods or goddesses). And anyway, I don’t think belief in a deity is a choice one can be argued into or out of. I’m just saying, let’s move on. My beliefs have prompted many questions: What about Jewish prayer? How does one pray without belief in a deity? And how can a post-theist write Jewish liturgy? The Book of Blessings began some three decades ago as a Jewish feminist project – by which I mean, not the substitution of (or addition of) anthropomorphically female imagery for God, nor an exercise in “gender-neutral” language, but a deep challenge to the patriarchal paradigm. Initially, I did this by creating new metaphors, such as eyn hahayyim (source of life), to replace the iconic and formulaic adonay eloheynu melekh ha’olam (Lord Our God, King of the World). Over the 13 years I spent writing the book, my theology evolved, and my liturgy expanded to include prayers that do not refer specifically to divinity at all. For me, prayer does not need to be an I-Thou dialogue; in fact, for me, it never is. 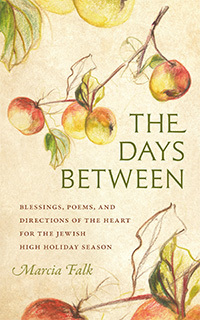 The prayers in The Book of Blessings and in my new book, The Days Between: Blessings, Poems, and Directions of the Heart for the Jewish High Holiday Season, are not direct addresses to God, but they are deeply Jewish in language (they are written in Hebrew, with English counterparts), themes, contexts, and imagery. They take various forms and have multiple focuses: Some are expressions of gratitude (not necessarily to a particular Being). Some are blessings for ritual acts, bringing awareness to specific moments or occasions. Some are invitations to appreciate or praise. Some are poems supporting contemplation and moral inquiry. Some express joy, some sorrow or grief. Some are for healing, some for celebration. All are intended to bring one into a meditative – one might call it “prayerful” – state. And all of them are grounded in the texts, teachings, and cultures of Jewish civilization. The Days Between focuses specifically on core themes of the High Holidays: reflections on time, mortality, and grief; the relationship of self to other, forgiveness, reconciliation, and renewal. It includes a call to self-accounting (a re-visioning of the traditional viduy, or confession), a tashlikh ritual for casting away wrongdoings, an alphabetical acrostic that enumerates hopes and wishes for the new year – and more. I begin all my compositions and re-creations with an investigation into the Hebrew liturgical canon; I look to find there what speaks to me and what I believe would speak to many Jews today, what is meaningful and useful for guiding and enriching our lives. I draw many words and lines from classical sources – Bible, Talmud, piyyut (religious poetry) – and give them new contexts and connotations. Above all, I aspire to write poetry that moves the heart and mind – poetry that is fresh and unburdened by awkwardness or archaism, which the original prayers may once have been. Upon the publication of The Book of Blessings, and again with the appearance of The Days Between, many self-identified Jewish atheists wrote to tell me that my prayers gave them access – and entrance – into a community and tradition from which they had felt excluded or alienated. I have heard the same response from many others as well; it is not only atheists who are seeking prayer that enables them to speak honestly and with integrity. There is deep longing among many segments of the Jewish community for liturgy that connects us to tradition without requiring us to deny our intellectual or spiritual convictions. Jews who are unafraid to call themselves atheists (or – might I suggest? – post-theists) are not only breaking taboos, but also widening the entryways to Judaism for all of us. 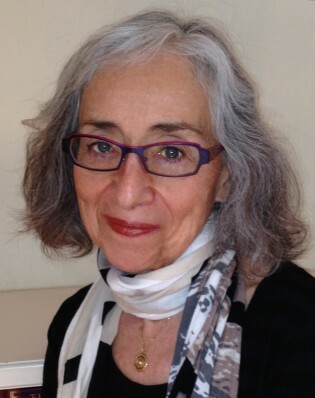 Dr. Marcia Falk is a poet, painter, and translator of Hebrew and Yiddish. Her publications include The Book of Blessings: New Jewish Prayers for Daily Life, the Sabbath, and the New Moon Festival (HarperCollins, 1996), The Song of Songs: Love Lyrics from the Bible (Brandeis University Press, 2004), and The Days Between: Blessings, Poems, and Directions of the Heart for the Jewish High Holiday Season (Brandeis University Press, 2014). She was a professor of literature, creative writing, and Jewish studies, and now travels widely to speak on the poetry of Jewish women, Jewish feminist theology, and other topics. To learn more about Marcia Falk, visit www.marciafalk.com.